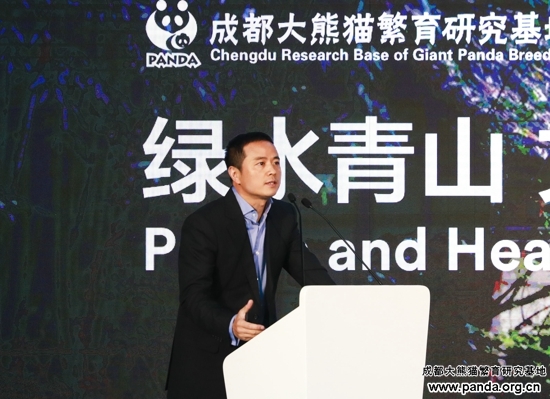 On November 19, 2018, the Strategic Cooperation Agreement Ceremony between the Chengdu Research Base of Giant Panda Breeding and Airbnb was held at the Base. The Panda Base and Airbnb officially agreed upon a strategic cooperation, and the two parties will work together construct an ecological civilization, develop Chinese culture represented by pandas, as well as promote sustainable tourism development and Chengdu as an international tourist destination. Francis Peters, Commercial Consul of the US Consulate General in Chengdu; Tu Zhi, Deputy Secretary General of the Chengdu Municipal People's Government; Duo Nanam, Director of the Chengdu Tourism Bureau; Luo Ye, Deputy Inspector of the Chengdu Forestry and Garden Administration; Zhang Zhihe, Director of the Chengdu Research Base of Giant Panda Breeding; and Peng Tao, President of Airbnb China, were all present at the event. 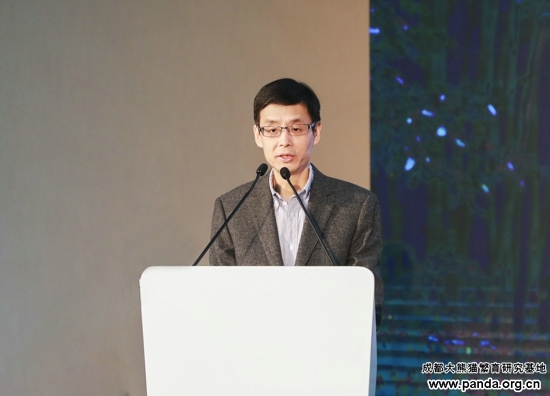 Tu Zhi, Deputy Secretary General of the Chengdu Municipal People's Government, delivered a speech. He lauded how B&Bs in both the countryside and city have brought more human, emotional, aesthetic and artistic experiences to travel and lodging, and promoted the development of global tourism. This cooperation is an opportunity, and we will combine the international development experience of Airbnb with the reality of Chengdu, protect pandas and promote panda culture globally, and better promote the connection between Chengdu tourism reception services and international standards to further enhance the international competitiveness of the city's tourism industry, especially lodging, and help build Chengdu into a world-clas tourism city. With the recent approval of the State Council, China’s 144-hour visa-free transit policy is now enacted in Chengdu for overseas tourists from 53 countries (including the United States, Canada, and the United Kingdom) beginning on January 1, 2019. 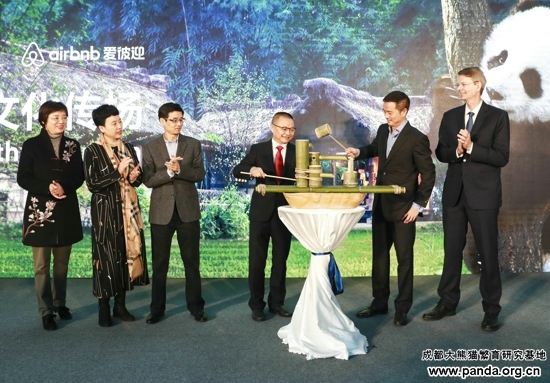 On the same day, witnessed by the guests, Panda Base and Airbnb completed their strategic cooperation ceremony. They will cooperate for a decade, and the main content include brand building, giant panda culture promotion, science popularization education for giant pandas, and helping the giant panda base build a wildlife protection station. Both parties stated that the premise for their cooperation is to respect and protect nature. Peng Tao, President of Airbnb China said that as a global leader in the sharing economy, Airbnb has been committed to sustainable tourism. 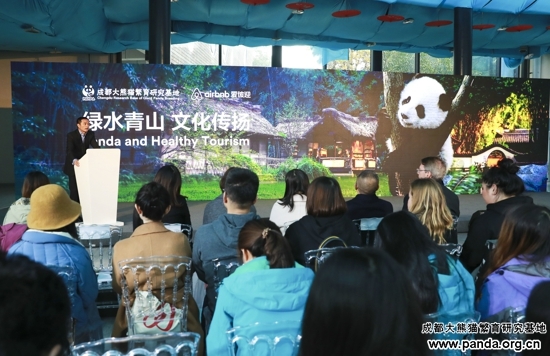 The panda, the typical symbol of Chengdu culture as well as Chinese culture, is also the perfect symbol for sustainable tourism that Airbnb advocates. We have agreed to strategically cooperate with the Chengdu Research Base of Giant Panda Breeding. We hope that with the technology Airbnb brings to the table, visitors can learn about the living habits of these rare wild animals via an interactive experience with giant pandas, enhance their awareness of ecological environmental protection, actively participate in public welfare projects that protect and reconstruct their habitats, promote the construction of an urban ecological civilization, and promote the external exchange of Chinese culture. At the same time, Airbnb will use its platform advantages and the global network to provide robust support for Chengdu to transform into an international tourist destination and enhance its image as an international tourism city. Zhang Zhihe, Director of the Panda Base, said that the Panda Base, as an environmentally advanced unit, winner of UNEP's Global 500 Roll of Honour, window unit of Chengdu, is responsible to pioneer eco-tourism. The cooperation will be guided by the theory that lucid waters and lush mountains are invaluable assets, under the principles of protecting ecology and respecting nature. Tu Zhi, Deputy Secretary General of Chengdu Municipal People's Government, delivers a speech. 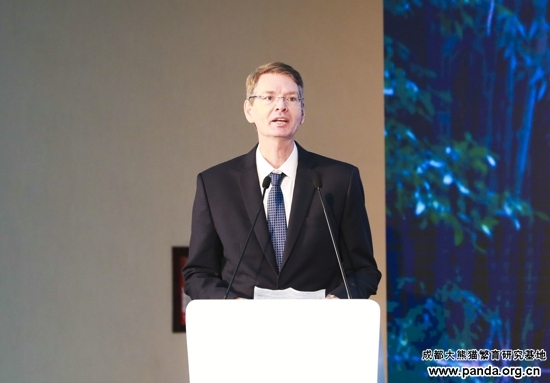 Francis Peters, Commercial Consul of the US Consulate General in Chengdu, delivers a speech. 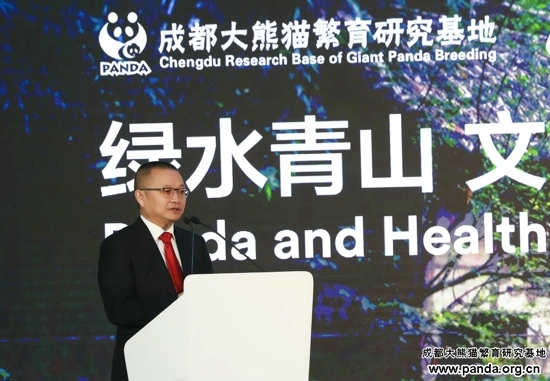 Zhang Zhihe, Director of the Chengdu Research Base of Giant Panda Breeding, delivers a speech.